Aberdeen Flowers have a variety of flowers which are perfect to send as a get well gift. Our florists in Aberdeen will beautifully arrange your flowers to create a gorgeous arrangement which we can deliver in Aberdeen or the North East of Scotland. With our network of florists we can also send flowers throughout the UK and even abroad in 140 other countries worldwide. It is always nice to send flowers to cheer someone up who maybe isn't feeling too well. 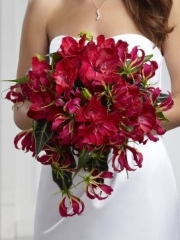 Our florists in Aberdeen have a variety of flowers which you can send to anyone. It's the perfect way to wish someone better soon! 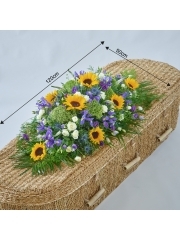 Aberdeen Flowers can also deliver a variety of fruit baskets. Fruit baskets are renowned for being "the" thing to send to someone who is under the weather. We have a normal fruit selection, or a more tropical variety of fruits which is bound to cheer someone up who isn't feeling too good. If you don't see exactly what you want then please feel free to email or phone our florists in Aberdeen who will be delighted to try and help. We make bespoke flowers and are expert florists will be able to make up exactly what you would like. If there are specifications you would like to make about your order, we will be delighted to tailor to your requirements so that every detail of your Aberdeen Flowers is perfect. You can make the decisions about the colours and varieties that go into your bouquet or arrangement so that your recipient is sure to be thrilled with their beautiful and unique flowers arranged by our Aberdeen Florists. When we deliver our Aberdeen Flowers to your recipients we love the smiles that we can bring to the faces of people who may be unwell, so Aberdeen Florists are definitely the best choice because we care about every single order we complete. All of our flowers here at Aberdeen Flowers are imported directly from their site of cultivation in Holland because our Aberdeen Florists know that this is the best way to ensure quality and freshness for every arrangement. At Aberdeen Flowers we want everything to be perfect with your order which is why we make every effort to ensure that your flowers are fresh and will have a long life so your recipient gets to enjoy them for longer. As well as flowers and fruit we can offer gifts including chocolates, teddies, balloons and wines which can be a great complement to any gift and will serve to make your get well soon message that extra bit more heartfelt. With our Aberdeen Flowers service you can order everything you need to wish someone a speedy recovery and we will deliver it all right to their door or even to a hospital if you would prefer. Our Aberdeen Florists will make sure that every order is treated with the care and respect it deserves so that your gifts and flowers arrive in the best condition possible. Our Aberdeen Flowers drivers are always careful with your delivery so that nothing can go wrong with your order from our Aberdeen Florists. If you have any kind of question or enquiry one of our dedicated team of Aberdeen Florists will be pleased to help you when you contact Aberdeen Flowers online, in our shop or over the phone, and you can also place orders over the phone if you would rather make an order for something that is not available on our website. Our Aberdeen Florists are always delighted to help you because customer satisfaction is our absolute number one priority.